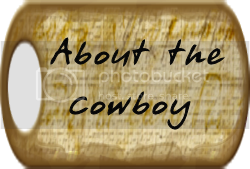 I am a cowboy, horse rescue worker, trainer and history buff. I take part in Rev War and Civil War re-enactment battles. This is a vent...you have been warned. I know I said I wouldn't post again. But this is the last one. Mom left me her laptop (thank you mom) since the car accident. As if I needed that too. Anyway this was done before I was accused of things. Anyway this is it. We’ll be left to chance. Are we lovers or friends? This post is later than I thought it would be. But I was typing long emails and really did some damage on my arm, so I had to take time off. And Christmas, Hope you all had a good one! So “speckled” horses post number two, Paints and Pintos. 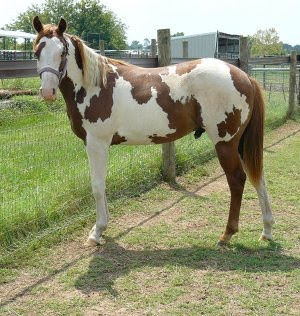 Pinto: A Pinto horse has a coat color that consists of large patches of white and any other color. 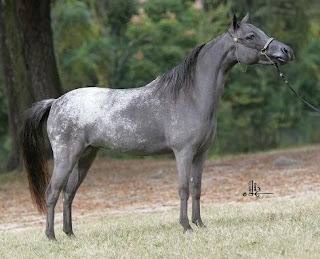 The distinction between "pinto" and "solid" can be tenuous, as so-called "solid" horses frequently have areas of white hair. Various cultures throughout history appear to have selectively bred for pinto patterns. 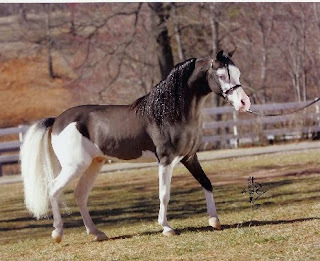 Many breeds of horse carry pinto patterns. Pinto coloring, known simply as "coloured" in nations using British English, is most popular in the United States. 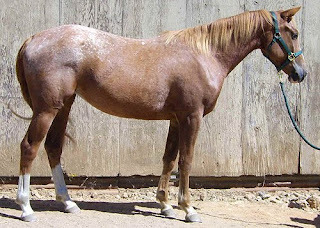 While pinto colored horses are not a "breed," several competing color breed registries have formed to encourage the breeding of pinto-colored horses. Paint: The American Paint Horse is a breed of horse that combines both the conformational characteristics of a western stock horse with a pinto spotting pattern of white and dark coat colors. Developed from a base of spotted horses with Quarter Horse and Thoroughbred bloodlines, the American Paint Horse Association (APHA) breed registry is now one of the fastest-growing in North America. 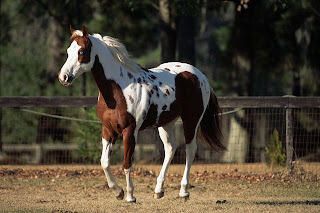 The registry allows some non-spotted animals to be registered as "breeding stock Paints," and considers the American Paint Horse to be a horse breed with distinct characteristics, not merely a color breed. So here come the different patterns with pictures. Some will be Paint's some will be Pinto's, I have had all of them. 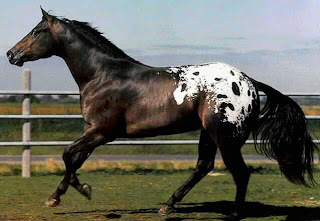 Tobiano: The most common spotting pattern, characterized by rounded markings with white legs and white across the back between the withers and the dock of the tail, usually arranged in a roughly vertical pattern and more white than dark, with the head usually dark and with markings like that of a normal horse. i.e. star, snip, strip, or blaze. 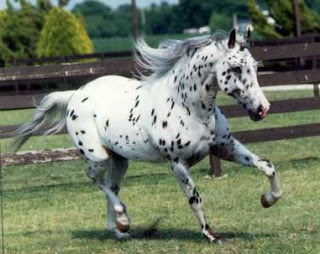 Frame: The most familiar overo pattern, the gene for frame has been genetically mapped and in the homozygous form, results in Lethal White Foal Syndrome (LWFS). Visually-identified frames have no health defects connected to their color, and are characterized by ragged, sharp white patches on the sides of the body, leaving a "frame" of non-white color that typically includes the topline. Sabino: Often confused with roan or rabicano, sabino is a slight spotting pattern characterized by high white on legs, belly spots, white markings on the face extending past the eyes and/or patches of roaning patterns standing alone or on the edges of white markings. Splashed white: The least common spotting pattern, splashed whites typically have blue eyes and crisp, smooth, blocky white markings that almost always include the head and legs. The tail is often white or white-tipped, and body markings originate under the belly and extend "upwards". 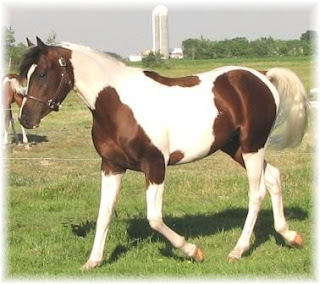 Tovero: spotting pattern that is a mix of tobiano and overo coloration, such as blue eyes on a dark head. Solid: A horse otherwise eligible for registration as a Paint that does not have any white that constitutes a recognized spotting pattern. 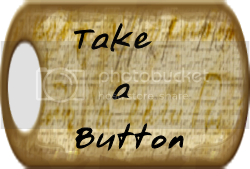 I hope I did not bore you to death and that you enjoy the posts! So a friend of mine I was emailing said there were speckled horses. This made me chuckle, and I have to admit I chuckled even more when she said it was a horse that was more than one color. It is a cute thought. And I suppose technically it is a speckled horse when it’s an Appaloosa. But as most horse people know there is more than one way a horse can have more than one color. But I do assume my sweet friend means ones that have big differences in colors instead of just markings. 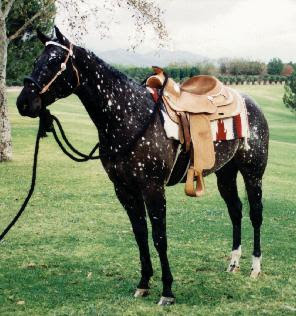 So I submit for my friend, some pictures of “speckled” horses. Leopard - white pattern exhibited to an extreme with base colored spots of various sizes covering most of the body. Few Spot Leopard - base color is nearly obscured by its Appaloosa white patterning covering up to 90% of its body. Horse may exhibit patches of color on the heads, knees, elbows, flanks (called "varnish marks"). Some may have as few as only one or two spots. Snowflake - white spots, flecks, on a dark body. 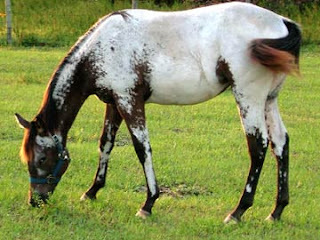 Typically the white spots increase in number and size as the horse ages. Varnish - dark points (legs and head) and some spots or roaning over a light body. May occur in conjunction with another spotting style and change with age. 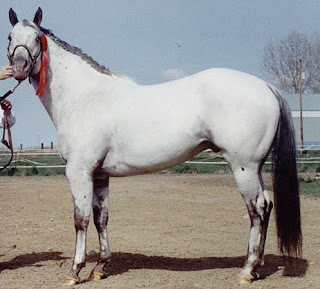 Often starts out as a solid colored horse that gets more white as it ages, but is not a gray. Frost - similar to varnish but the white hairs are limited to the back, loins, and neck. May occur in conjunction with another spotting style and change with age. Often starts out as a solid colored horse that gets more white as it ages. Blanket - Most common and well known White blanket over hindquarters. Can have clean edges or be roaned. Most have dark spots on blanket field Spots may move and change with each shedding. Snowcap - Similar to blanket except blanket field doesn’t have spots on it. White area can extend across most of body .Usually retain color on head, legs, flanks and elbows. Funny enough I own or have owned an example of each of the color types. So here come the pictures. 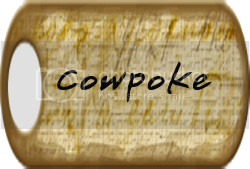 I will do a post tomorrow on the other “speckled” horses Paints/Pintos. Sara asked me a very good question in my comments section so I thought I would reply in a post, so everyone (or anyone who is reading my humble piece of blog space) could see. 1. Why do you have to check for a tattoo? 2. What is rain rot? Tattoos - Thoroughbred, Appaloosa, Quarter Horses, Arabians & Standardbreds any of these racing breeds can have a lip tattoo if they were raced. Standardbreds may have a freeze brand instead. This is a way to be certain you have the correct horse, as papers and other things are very easy to fake, and race horses of any breed are worth a great deal of money especially if they are good. 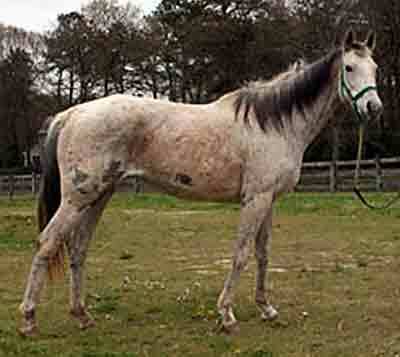 Rain rot is one of the most common skin infections seen in horses. It is also referred to as "rain scald" or "streptothricosis". The organism that causes rain rot appears and multiplies in warm, damp conditions where high temperature and high humidity are present. This condition is not life-threatenin. However, while the horse has rain rot, any equipment that may rub and irritate the infected skin (such as saddles and leg wraps) should be eliminated. 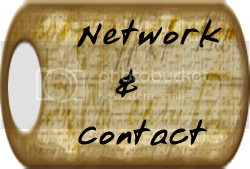 While it is not a life threatening thing healthy well cared for horses usually do not get it. Or if they do get it, they don’t keep it long because their owners take the proper measures to get rid of it. When you have a horse coming from a mistreatment or abuse situation they haven’t been cared for, their immune systems are usually compromised and this is one of the things you see most commonly. I have seen it occasionally among wild horse round ups as well, but not nearly as much as in abuse horses. A whicker or whickering is like a nicker or nickering. It is a sound a horse makes. It’s usually a soft sound lower than a whinny or a neigh, and is an affectionate sound. Mothers often do it to their foals, and often if a horse likes you or is used to seeing you often they will do it to you. One of my boys Genrul is found of putting his head on my shoulder and whickering into my ear. 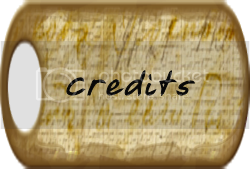 I hope you will pardon the quality of the photo I am going to post but for the obvious reasons mentioned in the previous post I did not want to get to close to the new project. Who has been dubbed prepare for it. Grape. You can blame Lady Ambrosia for the funny name. She has been chattering about Grape for a few hours now. It is apparently the new album name of a band she likes. Well she has been saying Grape so often, I just walked out into the barn and said “Hello Grape” so our new horse. Grape it is. Grape is a Thoroughbred, I have not checked for a tattoo yet (again obvious reasons) but I will. Grape is underweight, has rain rot and a bad temper. But over all things could be worse. I have seen worse. I have helped worse. The good thing is that one of my helping farm hands is a Young Lady and Grape has taken a liking to her. To the point of whickering when she arrives in the barn for the morning. So positive signs for Grape that she hasn’t lost all hope in humans. Only time will tell how that works out for sure. But I have faith. 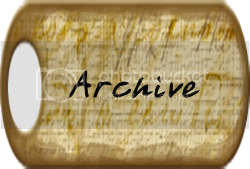 Look at me, 2 blog posts in one day.